Your roof, gutters and siding are your home’s main defense against the elements. Over time, they will inevitably develop signs of wear and tear due to constant exposure to the outdoors. 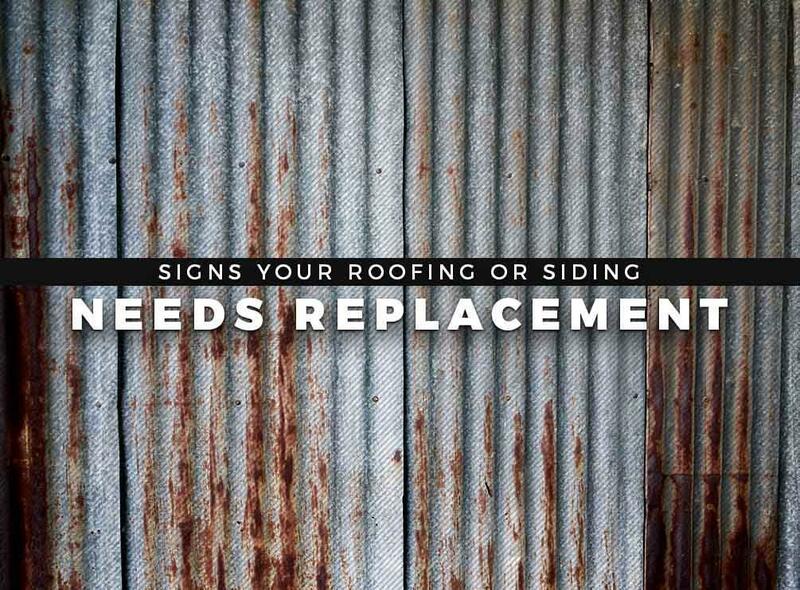 Here are the key signs that mean it’s probably time to replace your roof or siding. Shingle Granulation: Excessive amounts of shingle granules in your gutters is a red flag. This means your shingles are nearing the end of their life cycle and are not providing adequate protection any longer. Age: Different roofing materials have varying life expectancies. For example, a metal roofing system will generally last longer than asphalt shingle roofing. Shingle Curling: Curling, buckling, or altogether missing shingles are clear indications you need to replace your roof. While you may get by temporarily with repairs, these problems are just going to recur, costing you more in the process. Rot: Wood siding is particularly susceptible to rot. Always look for rot-resistant material when investing in a siding replacement. Cracks and Gaps: Holes, cracks, and gaps are unsightly. More than that, these outward imperfections compromise structural integrity by admitting moisture. High Utility Bills: Skyrocketing electricity bills may mean that the insulating property of your siding has been compromised even though there may not be obvious signs of disrepair. Complex Exteriors, LLC. is your one-stop shop for prime quality roofing and siding services. We offer exceptional metal roofing and fiber cement products. You can depend on us to exceed your expectations, always. Our service area includes Jackson, MS, and surrounding areas. Call us now at (601) 202-4273 to get a free estimate.